All products shown on this page may be ordered by printing and mailing our Order form. Jim O'Brien was the founding editor of Street & Smith's Basketball Yearbook in 1970 and continued to be associated with the magazine for more than 35 years. It became the No. 1 selling annual of its kind in the country and the official NBA pre-season magazine. 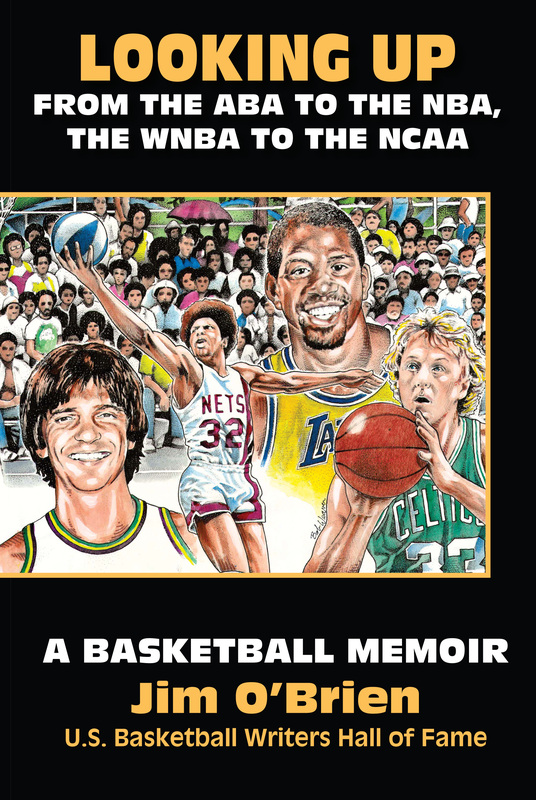 O'Brien also edited The Complete Handbook of Pro Basketball and wrote a column on pro basketball for The Sporting News for nine years. So in this book he takes a look back at the great players he met and interviewed along the way. It is 480 pages with over 200 photos and illustrations. 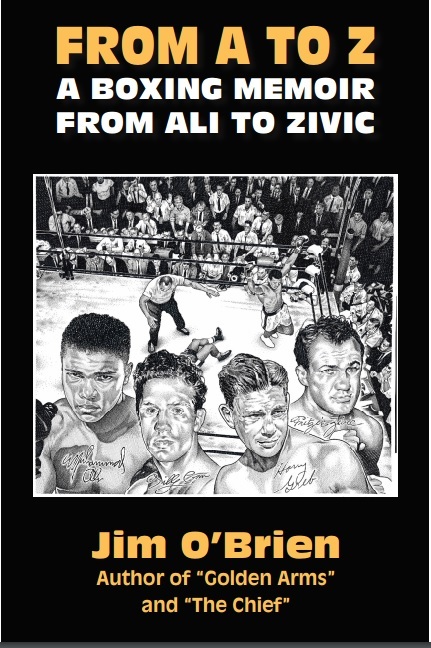 Jim O'Brien relates stories about the great boxers from Pittsburgh and Western Pennsylvania who were world champions, and stories and profiles of many of the great boxing champions who came to Pittsburgh to fight. This is an up-close and behind-the-scenes study of the strange and wonderful world of boxing. O'Brien includes stories about his days in Philadelphia, Miami and New York when he met some of the greatest boxers of all time. Muhammad Ali and Fritzie Zivic are only two of those. He has stories on Joe Louis, Floyd Patterson, Billy Conn, Roberto Duran, Joe Frazier, Larry Holmes, Sonny Liston, Sugar Ray Robinson, Al Jones, Luis Rodriguez, Sammy Angott, Teddy Yarosz and others, even some of the young men and women who are working out in boxing gyms today. If you liked "Boys In the Boat," you will like this book, too. This is the first book ever devoted exclusively to Chuck Noll and it is long overdue. You will learn much about this man who was rated the No.5 coach of all time in a poll taken in 2013. 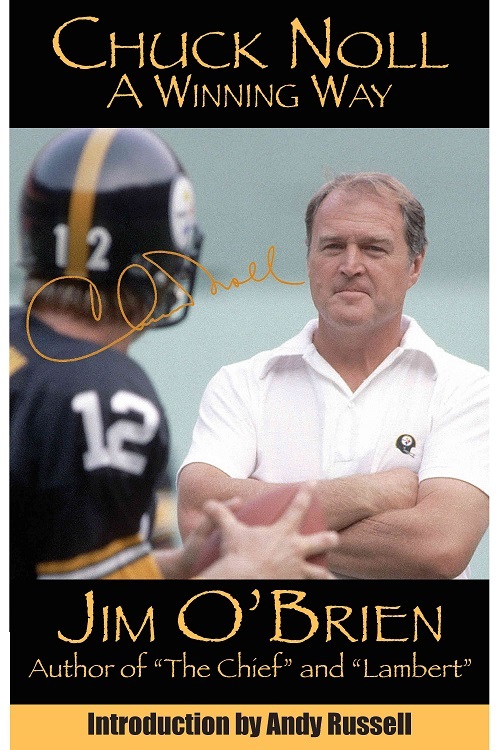 Jim O’Brien has interviewed Noll many times through the years and, most recently, he has interviewed some of the great players from those teams of the ‘70s and ‘80s who shed some interesting light on their coach. You also catch up on what’s become of those great players from the Steelers when they were the Team of the Decade. The book is a real block-buster – 640 pages, with over 300 photographs, 32 pages of full-color photos. It is a great time to reflect on sports events and issues that have gained the interest of sports fans through the years. There are stories here – reflections really – on the Steelers, Pirates, Penguins, Pitt, Duquesne, Carnegie Mellon, Penn State, Pittsburgh boxing and other sports on every level of play. This book is 496 pages, but has 108 chapters, so the chapters are shorter than usual, making for an easier-to-read book. Plus, there are over 300 photos in this fully illustrated book. 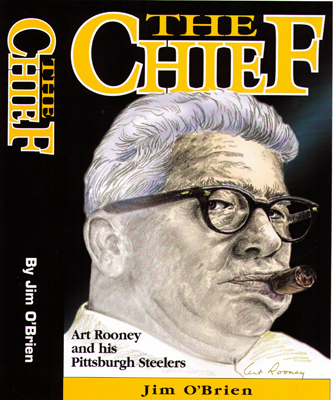 Some of the greatest players in Steelers history, many of Art Rooney’s personal favorites, have been interviewed for this revealing reflection on the Steelers’ founder and owner, one of the most colorful figures in sports history. 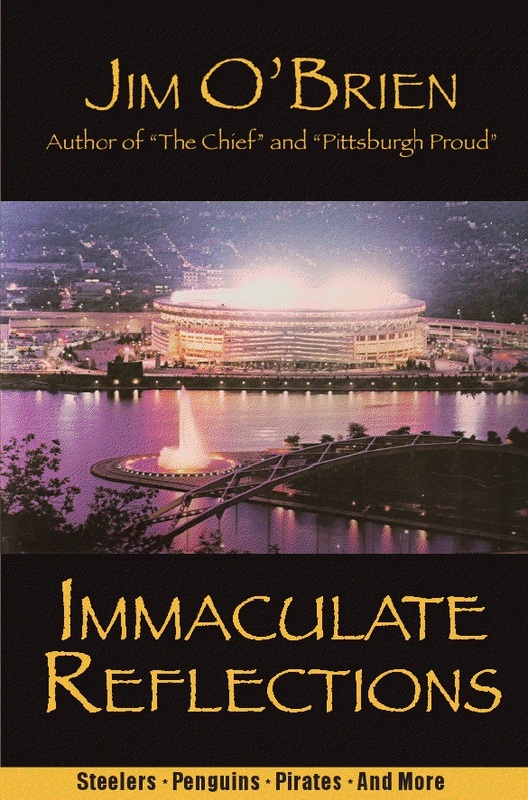 Anyone who cares about Pittsburgh sports, and football in particular, will enjoy this book. You will learn more than you ever knew about the Rooneys and their impact on Pittsburgh and the national sports picture as well. 496 pages, plus reproduced autographs of those featured in book. Profiles of 35 men and women from the tri-state area who have excelled in some way to become a hero in their hometown. There are stories about “Deacon Dan” Towler, John Woodruff, Ron Necciai, Jackie Sherrill, Dave Hart, Jack Twyman, Gus Suhr, Mace Brown, Mo Scarry, Fran Rogel, Mario Lemieux, Jaromir Jagr, Mary Lou Retton, Swin Cash, Bill Fralic, Joe Luxbacher, Roberto Clemente, Michael Jordan, Pete Maravich, and Wilt Chamberlain. 400 pages, 234 classic photographs, plus reproduced autographs. The 1960 World Series champion Pirates were celebrated at Fantasy Camp in January of 2005. 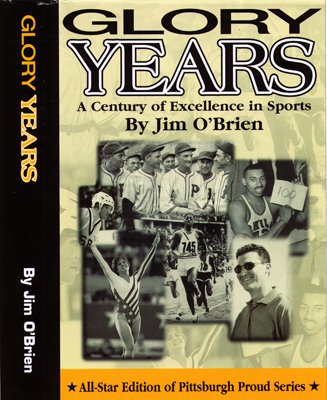 Author Jim O’Brien attended the camp and spent an entire week in the clubhouse and dugout with Bill Mazeroski and ten other members of that all-time favorite team. Plus, he interviewed some of the other popular Pirates who were associated with that team in some respect. It’s an update on what’s going on in their lives and their reflections on that wonderful 1960 season. Jack Lambert remains the most popular of the Pittsburgh Steelers of the ‘70s. He joined the team out of Kent State in 1974 and the Steelers won the first of their four Super Bowls in his rookie season. 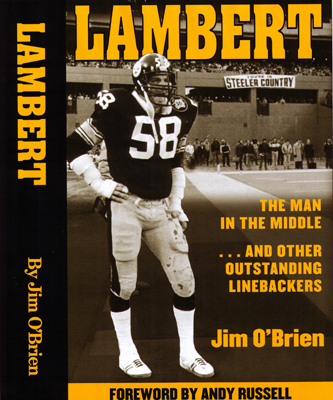 Lambert symbolized the Steelers of the ‘70s with his aggressive spirit and intensity. These are stories about Lambert, his buddies, his family and former teammates and coaches. There are 496 pages and over 300 photos. These are up-close and personal stories of the Steelers who overcame all odds to win Super Bowl XL in Detroit. 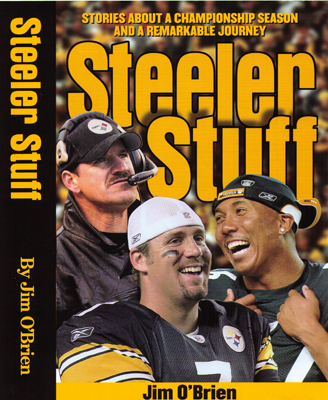 It features stories about Jerome Bettis, Hines Ward, Ben Roethlisberger, Troy Polamalu, Alan Faneca and Willie Parker, plus stories about others associated with The City of Champions. You won’t believe some of their success stories. 448 pages with over 200 photos. Author Jim O'Brien writes about the women in his family: His mother, mother-in-law, wife, their two daughters, a granddaughter and a beloved female dog named Bailey. "it's about families - mine and yours," writes O'Brien. It's about the little stuff in our lives, events and challenges we all deal with every day. It's full of laughs and tears. There are stories that will hit home with you. A variety of Inspirational Stories about men and women from the tri-state area who excelled in some way to become heroes in their hometowns. Many all-time favorites are profiled. 432 pages and 200 photos.